Classic, Camper,& Nicholson 36 from the early 1960’s though developed from a hundred years of hull and rig design. Maintained in good order with up to date instruments and safety equipment etc. 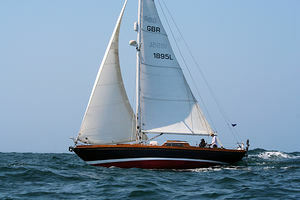 We race her in suitable Classic Regatta events and enjoy the coastal cruising to get to and from these events. Plus home river events and weekends.